As a tester, you will be aware of the Software Testing Life Cycle Phases, as well as the term, Test Plan. 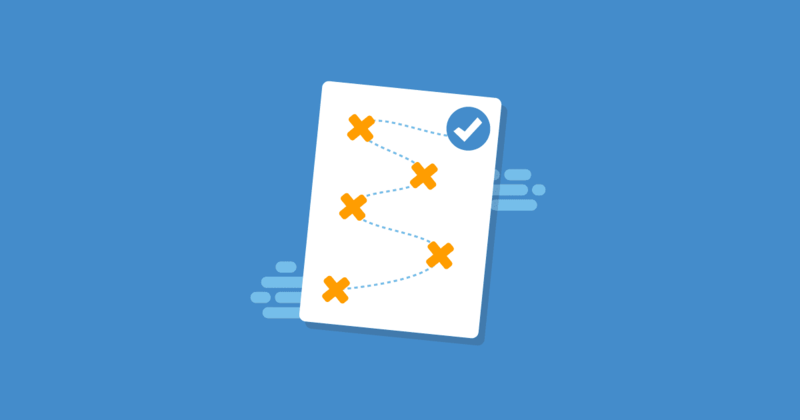 In this post, I will be explaining what a test plan is, and also addressing problems faced in our day to day project execution and how having a test plan can be really useful in our overall project testing. Defined in simple terms, a test plan is a document that summarizes the activities planned for a testing project. The essential contents listed in a test plan are the objectives of the test, the scope, approach, schedule, resources, tools, environment, responsibilities and the deliverables. The separate post, Test Plan Contents (with Examples) tells you more about what to include in your test plan contents, and how to fill each section. You may wonder when the right time is to create a test plan. The draft version of test plan can start in parallel with the requirement analysis as it is not always necessary to wait for this to be complete. Creating a test plan is an ongoing activity and requires continuous monitoring and updates. To cite some examples of why the document needs to be frequently updated are scope changes, use of an alternate tool or if there are environment access issues. A test manager or test lead owns the test plan, and the document is updated based on discussion and input from the entire QA team. Once the test plan has been approved, it is shared with the QA team, development team, project managers, business analysts and business owners. Due to the nature of software projects, intensive planning is required each time a system needs to be developed and delivered. Similarly, to ensure the effectiveness of testing, a QA plan needs to be established. A test plan created just for the sake of conforming to the process doesn’t help much. Therefore, it’s vital to be very clear on the purpose of writing. This must be reflected in the document since it’s referred to not only by the internal team but also external groups including business owners and other stakeholders. Below are some everyday situations that can occur within projects when having a test plan will be really helpful. This can happen when a new team member joins to assist with testing activities. Perhaps someone is moving out, so in these cases a swift transition must take place. It might happen at a time when there is on-time delivery pressure or a new resource is brought in, so in such cases, it will be difficult to dedicate time to training the new team member and help them get up to speed. In these circumstances, the test plan forms a useful reference document to get someone started so they can understand the background work and objectives. With evolving technology, we now have multiple ways of communicating. The different communication lines like emails, calls, and chats ease a lot of our effort, but at the same time, we are at the risk of losing the information exchanged. So it’s always a great idea to put everything in a document and share it with all involved. A test plan also acts as an agreement and can be of great help in the later stages of testing if something unexpected happens. A test plan is a highly valued document by stakeholders who generally prefer reviewing a test plan instead of test cases. You may think that after the project has been completed, these documents will no longer be useful – but they are. Many times you will be asked to share test plans from previous projects because they are examples of great work done in the past. If you are bidding for new testing projects, well written earlier test plans are strong evidence of what can be expected from you and your team in the future. Writing a test plan requires identifying and making decisions on a range of elements at the start of the project. Therefore, a thorough analysis and interaction with all the teams involved is needed. It’s an advantage to nail down the process, environment access and licensing related issues early in the life cycle to enable you to focus on the more important topics later. Good preparation when you begin documenting a test plan will ultimately help resolve challenges further down the line. Before concluding, I would like to add that there are projects that can run successfully without test plans. Whether or not a test plan is needed will depend a lot on the type of project you are testing. It’s always recommended that a test plan is created for large projects, whereas for small projects, it will depend on the team size and the project’s complexity. Before you make that call and create a test plan, do keep in mind that keeping a test plan up to date can be a time consuming task.